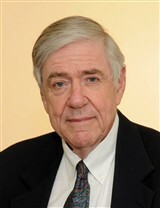 Canaan, NY, May 14, 2014, Augustus F. Kinzel, MD, Psychoanalyst, Psychiatrist, and Author, has been recognized by Elite American Physicians for dedication, achievements and leadership in medical writing and research. Dr. Kinzel is a renowned professional in the medical field who garnered more than 40 years of experience analyzing mental health issues and working with a diverse group of individuals. Dr. Kinzel held a variety of positions throughout his illustrious career, including serving the U.S. Public Health Service at the U.S. Medical Center for Federal Prisoners in Springfield, Mo. where he diagnosed and treated the most dangerous mentally ill prisoners. He then taught psychiatry at Columbia College of Physicians and Surgeons and had an analytic psychotherapy practice for 10 years in New York City. Dr. Kinzel also served as the medical director of the Mystic Valley Unit of Metropolitan State Hospital in Waltham, Mass., psychiatrist-in-charge at Mclean Hospital in Waltham, Mass., and medical director of psychiatric units in general hospitals in Brunswick, Maine, Muskegon, Mich., Williamsport, Pa., and Johnstown, Pa. Throughout his career, Dr. Kinzel has worked in forensic psychiatry and testified in criminal court on competence to stand trial and legal insanity. He also wrote multiple articles on violent behavior and recently finished writing, “Person Theory: Toward a New Developmental Paradigm for the Origin, Nature, and Disorder of the Mind” (International Psychoanalytic Books). The book, which was co-written by Dr. Ahron L. Friedberg, explores a theory of normal unconscious multi-track personal development, of psychodynamic disorders of unconscious destructive intent of the personal track formative phases, of the evolution of personal track phases collectively causing civilization eras, and of matter wave evolution in which unconsciousness and consciousness mind matter waves are the most recent to develop. Dr. Kinzel is a highly accomplished and decorated doctor who earned the Exemplary Psychiatrist Award for improvement in those with treatment resistant schizophrenia from the National Alliance on Mental Illness in 1993. He attributes his success to his ability to accurately diagnose and treat patients effectively and rapidly, and at the same time to see patterns in them that led him to formulate new concepts of normal personal development phases and their psychodynamic disorders. Dr. Kinzel looks to draw on his extensive knowledge to actively contribute to the field and consult. 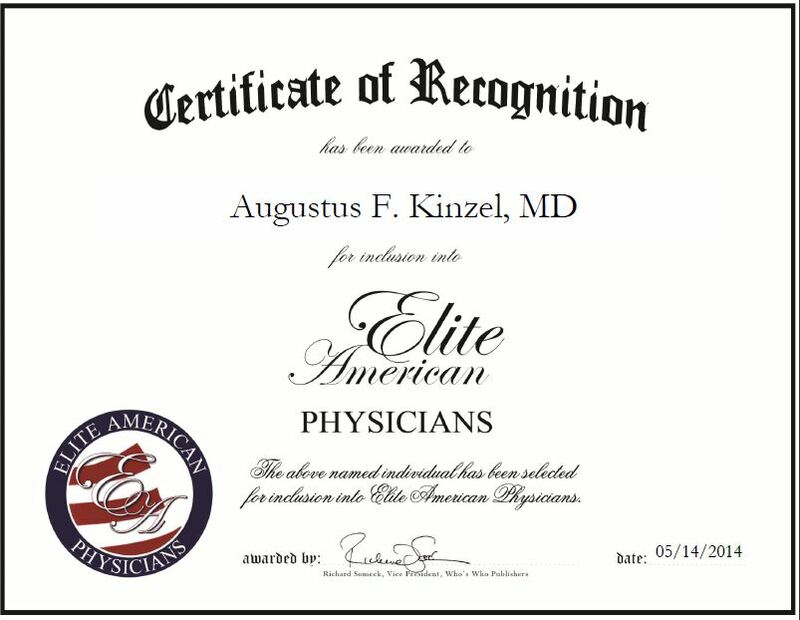 Augustus F. Kinzel, MD was originally selected for inclusion in EliteAMERICAN Physicians in May 2014. We are proud to be featuring Dr. Kinzel again in EliteAMERICAN Physicians for 2015. This entry was posted in Psychiatry and tagged author, medical research, mental health, psychiatrist, psychoanalyst. Bookmark the permalink.